Concrete benchtops can be designed to your specifications. Every project is unique in shape, size, color, inlays, aggregate additives and finishes. Concrete is durable, versatile and beautiful. It’s easy to understand why it’s been the material of choice by artists and builders for centuries. Concrete is a living finish with texture and irregularities. It can be mixed and moulded into any shape and colour to suit individual tastes and needs. 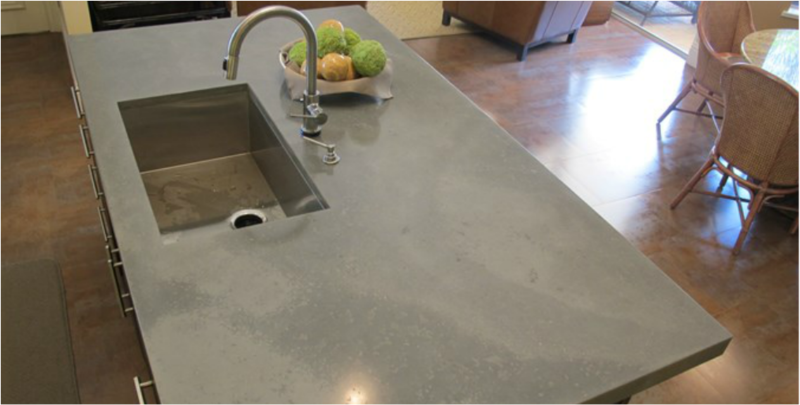 Concrete is a natural for kitchens and bathrooms. Maintenance and cleaning couldn’t be easier. Beauty and function add value to the most important rooms in your space. Custom concrete benchtops take approximately two weeks from the template to the install.